It is a magnificent design from Olazabal testing players from all levels, from scratch hándicaps to beginners. The course is flat with slight undulations with some holes directly on the coast with strategically placed bunkers and lakes dotted around the course. Par 72 SSS 72 6063M from the yellow tees and 5155M from the red tees. To complement Costa Ballena Ocean Golf Club’s facilities we have a 9 hole Par3 executive course. The course is officially recognized by the Royal Spanish Golf Federation and we’ve had numerous tournaments played here including the National Par3 Championships. It’s design meets the same criteria as our Championship course with exactly the same amount of care and conditioning given. It’s an ideal short course to perfect your short game and is widely used by countless Professionals and beginners alike, looking to improve their iron and short game. Costa Ballena Ocean Golf Club was built in 1995 with Spanish Masters champion Jose Maria Olazabal as the head of design for golf company Integral Golf Design. The 27 championship holes and Par 3 course were built on flat farmland giving the architect a blank canvas to produce a versatile course. It’s easy to walk with golfers of all levels able to enjoy their golf. It was officially opened for play in 1997 to house all levels of competition, starting with European Tour Second Stage Qualifying. 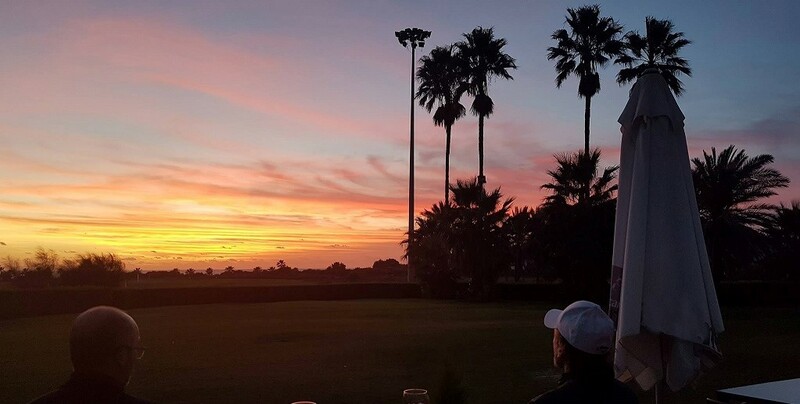 The Cuadrangular Internationals at Costa Ballena, King and Queen’s Cup have been contested here and it is the official training base for National Teams during the winter months.